November 9th, 2016 | Categories: Meet The Team and Uncategorized. Tags: David Bromstad, DIY Network, HGTV, Home staging denver, Meridith Baer, professional home staging, and Raise The Roof. We’re taking you behind the scenes here at White Orchid Interiors to learn more about how professional home staging works, and about the people who make each home look so appealing and effortlessly put together. White Orchid Inteirors‘ Marisa Harris has an eye for aesthetics and a passion for design. With an education in interior design, Marisa has climbed the ranks here at White Orchid Interiors, where she now serves as our Senior Design Coordinator. 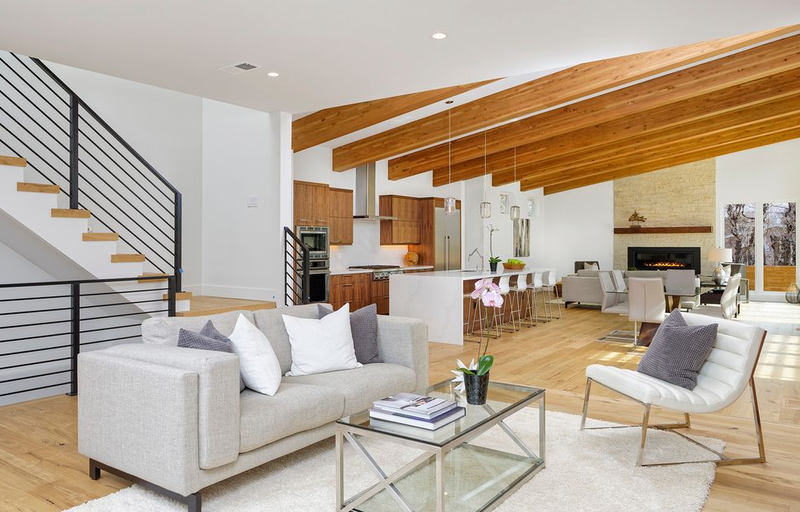 As a home staging Senior Design Coordinator Marisa is in charge of overseeing the strategic design programming of all of all the homes White Orchid Interiors stages. She creates moodboards to represent a home’s design aesthetic and coordinates with the inventory team to ensure the right furniture and accent pieces are available. Marisa has the skill-set to turn an empty interior into a thriving space that tells a story. Get to know more about this multi-faceted home stager below. How did you become interested in the design and the home staging world? I went to school for interior design. Really, I’ve been interested in design since I was in middle school. Later, when I met Lauren Matthews and learned about home staging, it really opened up a new path for me. I absolutely love home staging. You have more freedom [than interior design] to pick out pieces that you personally like. I believe there’s more room for creativity. We did one home in Denver that was a very cool blend of industrial-chic. A nice mix of linen, hard surfaces, and contemporary art. It was really fun. Celebrity designer who you look up to? Both Lauren and I follow Meredith Baer. She is extremely talented. I also really like HGTV’s David Bromstad. He is a painter and a home stager and he will often work his own artwork into the homes he designs. That was kind of a dream of mine. If you could stage anyone’s home who’s would it be? I paint! I started painting in middle and high school. I work a lot with acrylic paints on canvas. Most of my work is abstract. I love playing with color and texture. It’s nice to have a creative outlet that takes your mind off work and is a way to de-stress. 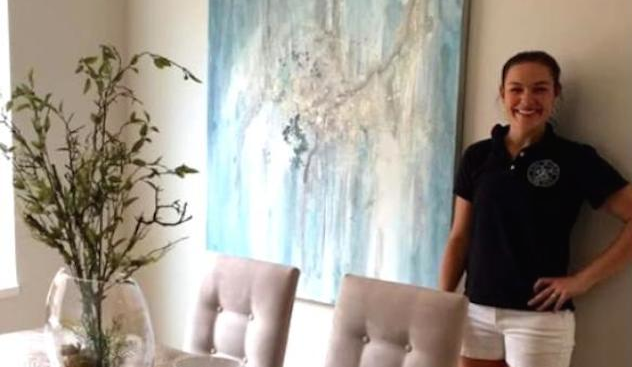 My artwork was actually used in the homes we staged for DIY Network! To use any artwork on “Raise The Roof” we had to have a release form from the artist. It would have been nearly impossible to get the artists to sign in the incredibly short timeline we had for the show, so I thought, why don’t I just paint something?! We did two properties for “Raise The Roof”. In the first, I had five or six canvases, and those were pieces that I had shown recently at a gallery so they were all ready to go and fit the home perfectly. For the second property, I painted a piece specifically for that house. It took me about three days to complete and it looked beautiful. It was such a David Bromstad moment! Mid-century modern is kind of my bread and butter. It’s been so great to see that Denver (where I live) has had a resurgence of that design aesthetic. I think Denver’s contemporary take on a lot of those mid-century details helps keeps the style fresh and new. 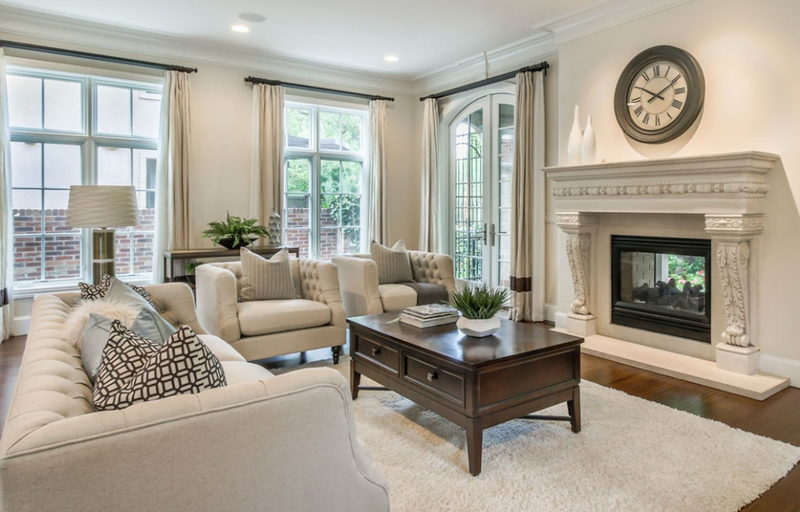 What is the home staging process like? First I preview the home with the client or realtor. That usually takes about 45 minutes. We go through each room and I begin to get an idea of how I want to lay out the furniture and what the design program will be. Then I typically go back to our main office and work on proposals. After that, I put together my furniture list together for our warehouse team. They compile all the necessary pieces for the house. A lot of teamwork goes into staging a home, but we’ve really gotten it down to a science so it is as efficient as possible. In terms of time, the actual physical staging of a home can take from 1-6 hours. It really depends on the size of the home. How many iterations of a design or mood board do you go through for a home’s staging program? We usually just go through one or two design boards before we nail the project. 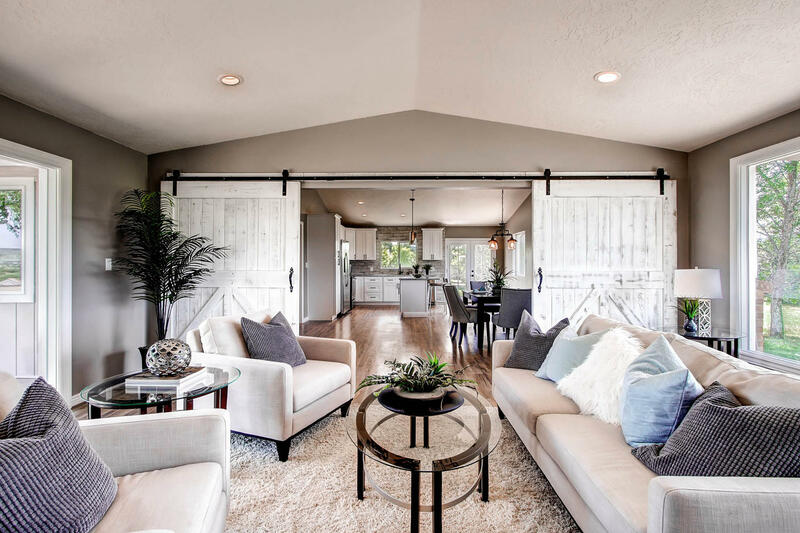 With such an experienced team, when we walk through a house we typically know immediately what we need and where we need it – what pieces will make a space look larger, what highlights the rooms best features, etc. The client really gives us total freedom. 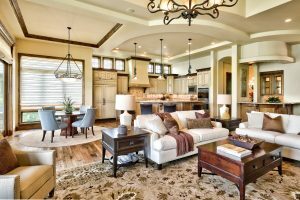 We’ve built our reputation on being trusted professional in home staging and so they really do trust us!